A powerful cleaning tool that allows you to erase dirt like magic without any detergents or soaps necessary. 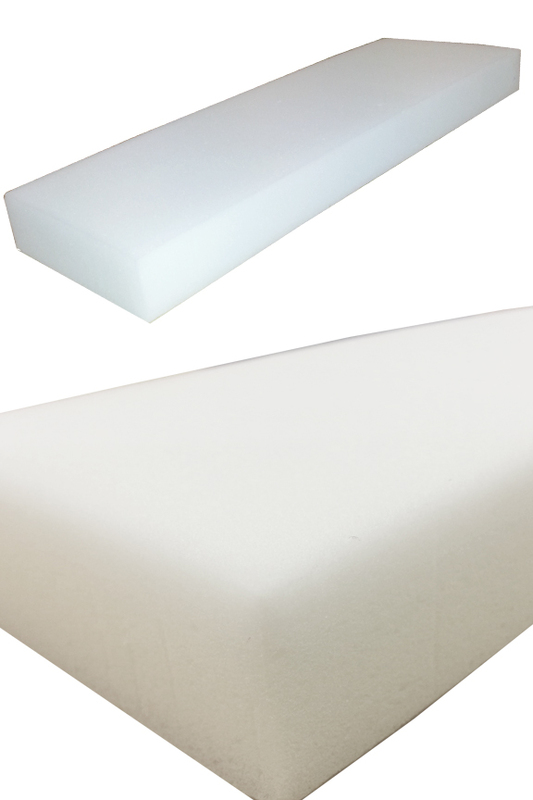 Dense, high quality foam allows this sponge to clean better, and last longer than similar ones on the market, and the extra large size enables you to clean with any size you prefer. When cut to size, you can easily get 4 or 5 "regular" size sponges if you want, or you can use it whole, and clean until it's used. You may be able to save a few pennies by getting a magical cleaning pad from somewhere else, but you will quickly find that they all disintegrate faster, and none seem to have the cleaning power that this one does. It's perfect for stainless steel, tile, ceramics and glass, but you'll discover plenty of other surfaces to clean too. Cut through greasy build up, eliminate mildew stains, power through soap scum, and wipe away stubborn grime like coffee stains. All you need is water to clean any mess, so just get it wet, and wipe away to quickly eliminate grime all over your home. 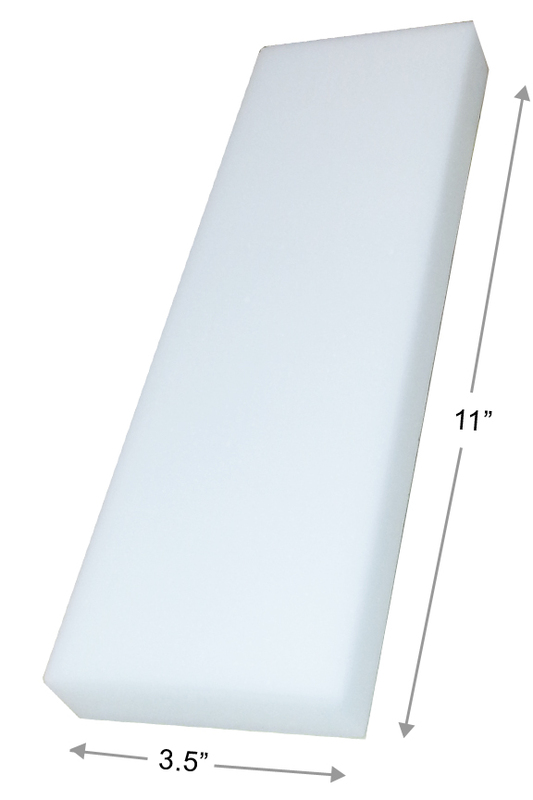 Dimensions 11" x 3.5" x 1.25"
Uses Clean dirt from hard smooth surfaces with only water as a detergent. Absorbency N/A - It looks and feels like a sponge, but it's more like a scrub pad. Not intended to soak up spills. Compatibility Do not use on coated, polished or delicate surfaces. Do not use with detergents or harsh chemicals. Do not use on hot surfaces. Reusable Yes. Keep using until gone. The sponge will wear with use, and should be discarded when used, but most people will get several uses out of each one. An extra large pad with extreme cleaning power, this sponge allows you to remove dirt like magic. Teeny tiny micro-scrubbers will power through tough dirt to remove it with little effort. No extra cleaners necessary, just get wet with water! Order Yours Today! I use them everyday on my squeegees I invented. I just wish they made the with Velcro strips and this size I need. I know plenty of window cleaners that use this product and would love to see more sizes available with Velcro to easily pull on and off. This item is 3.5" X 11" .. what is the width? 3.5" is the width, and 11" is the length. They are 1.25" thick.